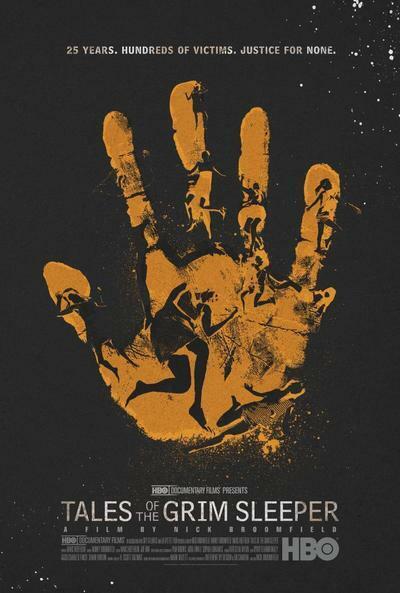 Master documentary provocateur Nick Broomfield shows himself in stunning form in TALES OF THE GRIM SLEEPER, the story of a serial killer who ran unchecked for 20 years in South Central Los Angeles. When Lonnie Franklin Jr. was arrested in 2010 as the suspected murderer of a string of young black women, police hailed it as the culmination of 20 years of investigations. Four years later, Broomfield visited the alleged killer's neighborhood to find out if the police had earned their self-given kudos. There, he finds a world of people who suspected for decades that there might be some connection between their odd neighbor and the dozens of women who had gone missing from the street - but who had good reason not to trust the LAPD to help their community. After the residents are initially as reluctant to talk to him, Broomfield enlists the help of Pam, a charismatic, funny and fearless former prostitute eager to help get to the bottom of these murders. With Pam leading the charge, Franklin's friends and neighbors open up to Broomfield on just how much of the spree was common knowledge to anybody who went looking, and how little interest the police seemed to take. In scenes building to an unbelievably powerful conclusion, Broomfield reveals the journey of a serial killer and gives voice to his victims, as he builds a powerful assemblage of testimony conveying a grave injustice that extends well beyond this case.